Some weeks, there is very little coffee news—or at least, any coffee news worth writing about. I spend most of my time figuring out how to wring the last drops of interest out of stories about the latest Krispy Kreme-flavored coffee disaster or something. Other weeks, however, it’s an overload. Too much news, too little time. This is one of the latter weeks, so let’s get cracking. Another way of writing “Germany’s second-richest family” would be “the family behind JAB Holdings”. That’s right, the shadowy holding company behind takeovers of such coffee brands as Intelligentsia, Peet’s, and Stumptown—as well as major funding for online coffee marketplace Trade—is way shadowy-er than previously thought. Upset that this huge opaque company is buying up your favorite coffee brands? You ain’t seen nothing yet. The details are horrific, detailing routine abuse and degradation of forced workers, both prisoners of war and people captured during the Nazis eastward expansion, as well as reports that the Reimanns themselves were personally involved in this abuse. To their (very little) credit, this history has come to light because current members of the Reimann family hired a researcher to delve into their family’s past, as Albert Sr. and Jr. died in 1954 and 1984 respectively and never discussed their past with their children or grandchildren. The family has pledged to donate $11.3 million to an undisclosed charity in an attempted restitution for its dark past, although this amount has been criticized as being far too little when the personal wealth of the family is taken into account (their combined wealth is estimated at roughly $37 billion). The historian hired to research the Reimanns is apparently not even finished—this news report came after the family was given a progress update (which they didn’t share at the time). More revelations are sure to come, especially as the media is paying attention now. What this means for the coffee companies owned (and funded) by JAB remains to be seen, but people still buy cars built by VW and suits made by Hugo Boss, so probably not much, unfortunately. Everyone’s favorite sleazy celebrity lawyer, Michael Avenatti, has had a rough old time of it of late. This is the same man who flirted with a presidential run last year, after he rose to fame representing the adult film actress Stormy Daniels in her lawsuit against President Donald Trump. Then, last week, Avenatti was arrested on federal charges for allegedly attempting to extort Nike of $20 million. Because why not. That (vaguely buffoonish) attempt to extort a multi-billion-dollar sportsware conglomerate may have dominated proceedings—and for good reason: it’s bananas. But worthy of at least a passing mention is the news that Avenatti’s heroic rescue of the coffee chain Tully’s, which he saved from administration in 2013 with the help of actor Patrick Dempsey (yep, McDreamy himself), was less heroic than it seemed. In a (really quite terrible) attempt to keep Tully’s going, Avenatti allegedly funneled money meant for clients to the business, and faked personal tax returns in order to defraud a bank in Mississippi of over $4 million, again to help Tully’s stay afloat. Tully’s was born in the post-Starbucks coffee boom of the early 90s, but ran into problems and ended up selling its wholesale business to Keurig Green Mountain, which also owns the rights to the name Tully’s. Avenatti and Dempsey brought the cafe part of the business out of bankruptcy in 2013, but struggled to keep it afloat and Dempsey left the partnership very quickly under, er, let’s just say acrimonious circumstances. Now it seems as though Avenatti’s rather interesting past is catching up with him. Oh, and as a side note, who owns Keurig Green Mountain these days? None other than JAB Holdings. It all links. Coffee. Is there anything it can’t do? Not content with being delicious, waking us up in the morning, and potentially curing cancer, coffee can also harness the raw power of the sun itself. Look, science is hard and I basically treat it like magic—I don’t really know what’s happening, but if it’ll make this tiny glass slab in my pocket stream the latest John Mulaney special then I’m not going to question it. So the takeaway here is that coffee is magic and will save the world. Have you looked at the news recently? The UK political situation is an impenetrable nightmare at the best of times; right now it’s as though David Lynch was hired to make a film about the most arrogant and feckless people in the world trying to decide which film to watch on Netflix. Would you want to risk uprooting your world and moving to the UK in the hopes of building a better life when you could be kicked out at any moment? Or worse, the entire country could descend into chaos and doomsday prepping at the drop of a hat? According to this story on Sky News, the coffee market in the UK is worth $13 billion, grew 7.9% last year, and will require an additional 40,000 workers by 2023. That’s a lot of baristas, who have historically come from various countries around Europe. But not for much longer, because again, why would you? 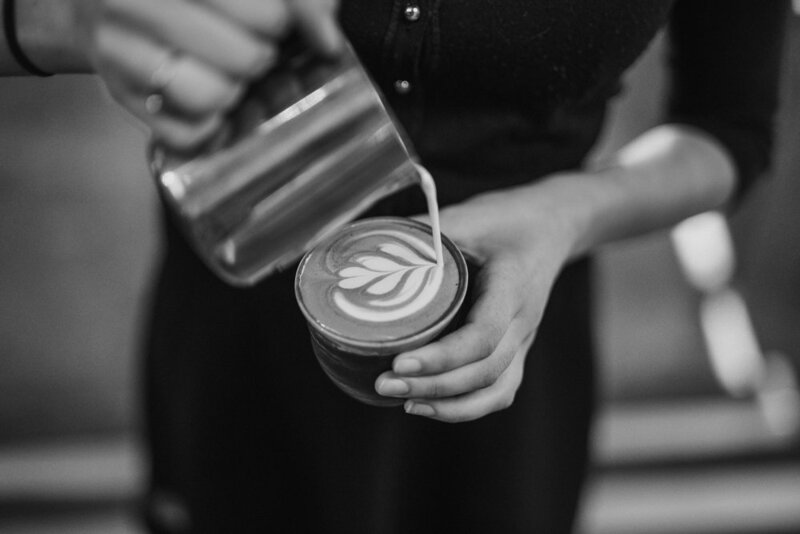 You could go to Paris, or Madrid, and find good work in top quality coffee shops. Heck you could even settle in one of the many lovely small cities all over Europe whose coffee scenes are booming. Why risk being an extra in The Road? When I clicked on this story, I was excited to learn about how scientists have discovered a protein in coffee that keeps medical equipment from going bad, or something equally cool and technological. But no, hospitals are literally just bribing people with coffee gift cards to not waste stuff. And it works! Johns Hopkins in Baltimore saved nearly $136,000 in just over a year by offering a $5 gift card to the hospital cafe in return for employees using about-to-expire equipment. That’s it. Which makes me think that people are just incredibly wasteful unless there’s some sort of incentive. I cannot properly articulate quite how angry these types of story make me without swearing profusely, so I’ll just say this: there’s nothing wrong with enjoying things. Yes of course we should all be saving, and yes coffee is an extravagance, but these sorts of proclamations are always from already rich people who no longer have to scrabble around in the messed up economy left to us by those same already rich people. These articles pop up far too often: constant disingenuous claptrap from deluded, withdrawn multimillionaires. Telling a 20-something working two jobs and picking up Uber shifts at the weekends that the reason they don’t have money is because they drink coffee is at best self-indulgent and unhelpful and at worst plain malevolent—drinking a good cup of coffee (or eating avocado toast) is one of the few joys left in this world. Coffee is so good for you, in fact, that merely thinking about it can have a positive effect on your brain. The study focused on something called “construal”, which definitely doesn’t sound like a made up word at all. Construal, apparently, refers to how we perceive and interpret the world around us. Conjuring thoughts of coffee—by seeing photos, for example—made subjects more alert and increased their construal (still not convinced about that word). It also made time go faster. I’m not 100% sure I properly understood this study, but I’ll still stick to physically drinking coffee to get my construal, thank you very much. Until next week, drink good coffee. You deserve it.